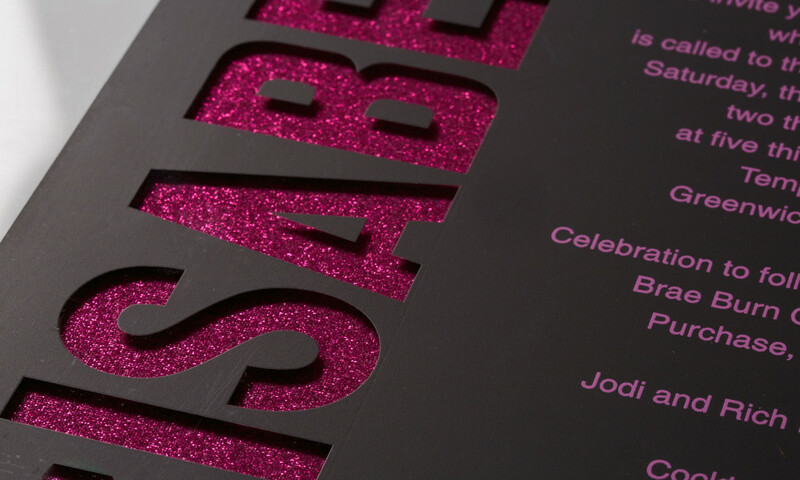 Matte black and hot pink ink on acrylic reveal a hot pink glitter ‘ISABEL’ from behind. White insert cards with bold hot pink headlines match the invitation. 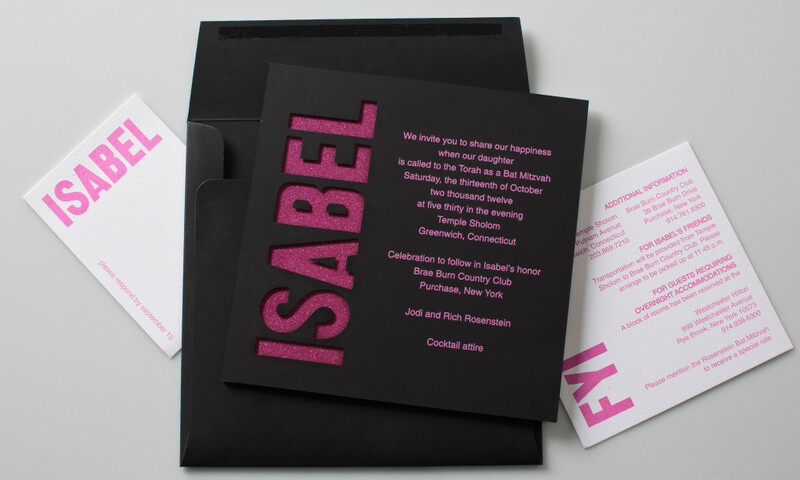 The bat mitzvah set was sent out in a matching, matte black envelope.